Giorgio Armani is an Italian fashion brand which produces high-end leather goods, shoes, jewelry, watches, eyewear, and more. There are several different lines that consumers can shop from, including Emporio Armani, Armani Collezioni, Armani Jeans, and more. With Big Apple Buddy’s personal shopping service, you can now buy direct from the USA Giorgio Armani online store anytime, anywhere. At the USA Giorgio Armani online store, you can shop from a variety of different bags and accessories for both men and women. The Giorgio Armani Women’s Medium Le Sac 11 Bag in Deer Grain Calfskin is an exclusive item that features the finest of Italian workmanship. This two-handled handbag is entirely handmade and has a classic allure that makes it the perfect piece to pair with any outfit. The perfect size to hold all of your everyday essentials plus a little extra, this bag will be your new favorite go-to accessory! Armani is also known for its stylish and finely-crafted shoes. The Giorgio Armani Men’s Calfskin Loafer is a classic and elegant shoe that could pass as either formal or casual. 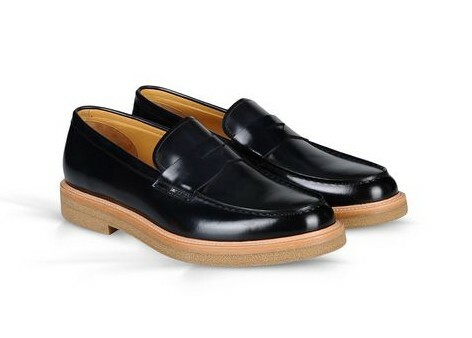 Made of 100% calfskin leather, these shoes have a rubber sole and rounded toeline, which makes them comfortable and easy to wear for long periods of time. Their timeless look makes them an accessory that will go with just about anything! 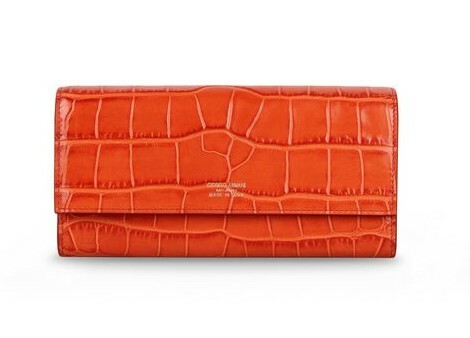 You can shop from plenty of other leather goods at the USA Armani online store, including this Giorgio Armani Button Wallet in Croc Print Calfskin. The bright orange color will make it stand out from all your other bags/accessories, and the inside has plenty of different slots and compartments to neatly hold all of your essentials. Keep all of your money and important cards safe and at hand with this accessory! 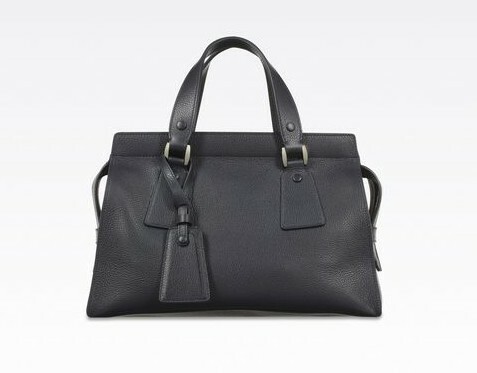 Unfortunately, the USA Giorgio Armani online store does not currently offer international shipping. However, Big Apple Buddy, your personal shopper, can help you buy products direct from the official USA Giorgio Armani online store and ship them to your doorstep, no matter where you are in the world. We offer international shipping to over 110 countries including Australia, Austria, Azerbaijan, Bahrain, Belgium, British Virgin Islands, Brunei, Bulgaria, Canada, Chile, Costa Rica, Croatia, Czech Republic, Denmark, Estonia, Fiji, Finland, France, French Polynesia, Germany, Gibraltar, Greece, Greenland, Hong Kong, Hungary, Iceland, Indonesia, Ireland, Israel, Italy, Japan, Jordan, Kuwait, Latvia, Liechtenstein, Lithuania, Luxembourg, Macau, Malaysia, Maldives, Malta, Marshall Islands, Mauritius, Monaco, the Netherlands, Netherland Antilles, New Zealand, Norway, Oman, Poland, Qatar, Romania, San Marino, Saudi Arabia, Serbia and Montenegro, Seychelles, Singapore, Slovak Republic, Slovenia, Spain, South Africa, St. Lucia, Sweden, Switzerland, Taiwan, Thailand, the UAE, the UK, Vatican City, and Vietnam. If you would like to buy from the USA Giorgio Armani online store, simply let us know which items you would like to order (by filling out the form below) and we’ll get back to you with a free international shipping quote within 24 hours!